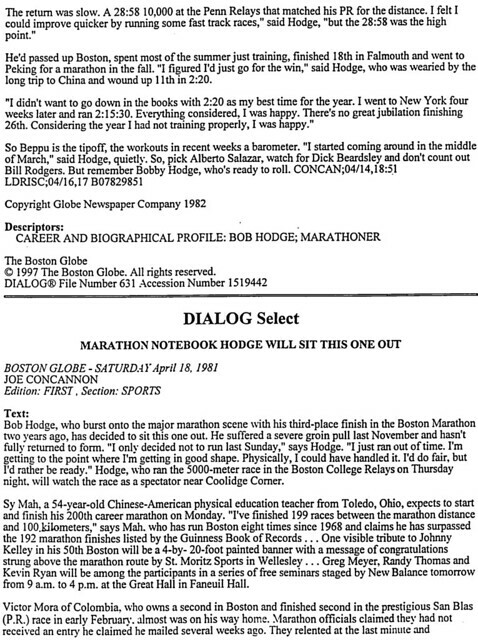 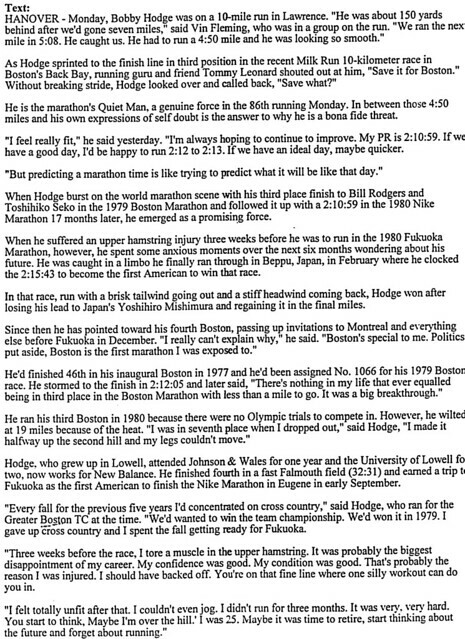 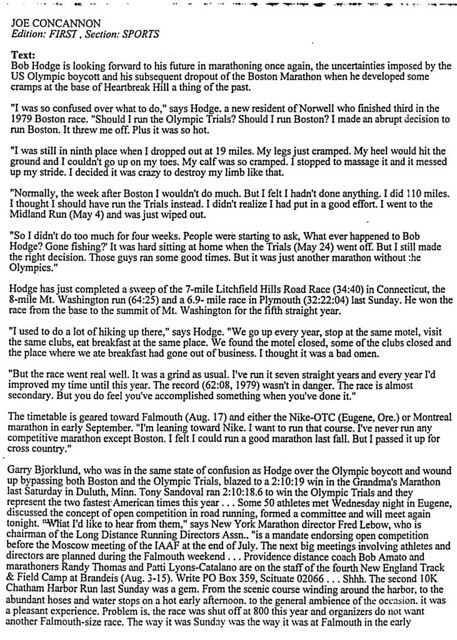 From his days as a skinny Rogers School 9th grader first exploring the world of cross country to his days in the international spotlight as one of the world’s outstanding distance runners, soft-spoken Bob Hodge quietly compiled an impressive dossier of accomplishments that have securely established his niche in the pantheon of athletic stalwarts at Lowell High School. 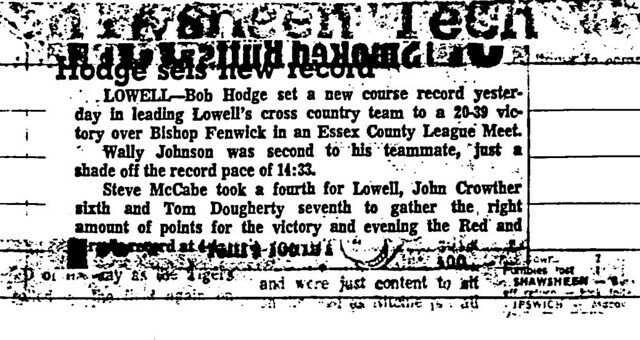 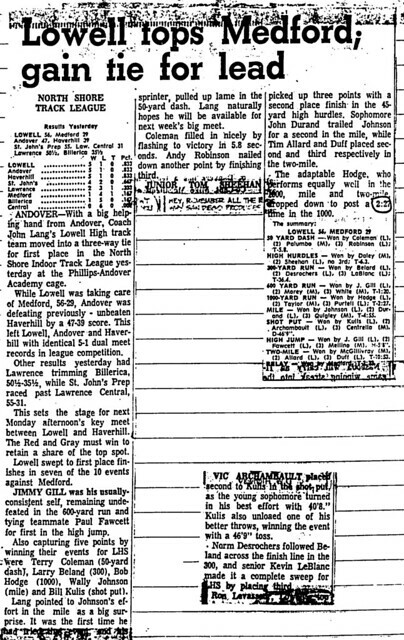 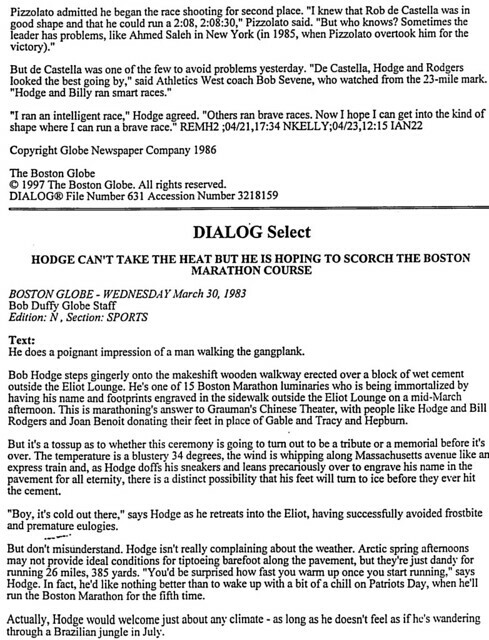 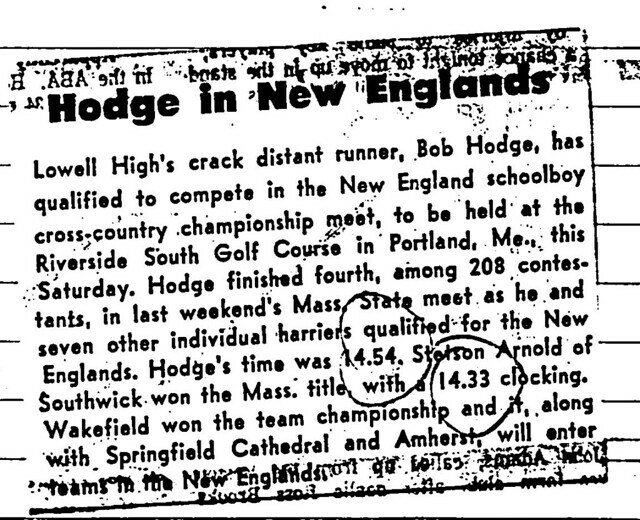 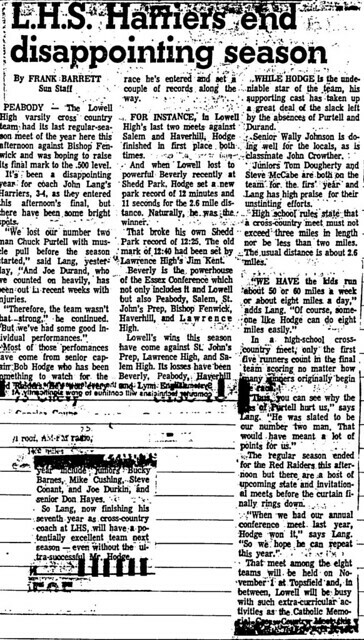 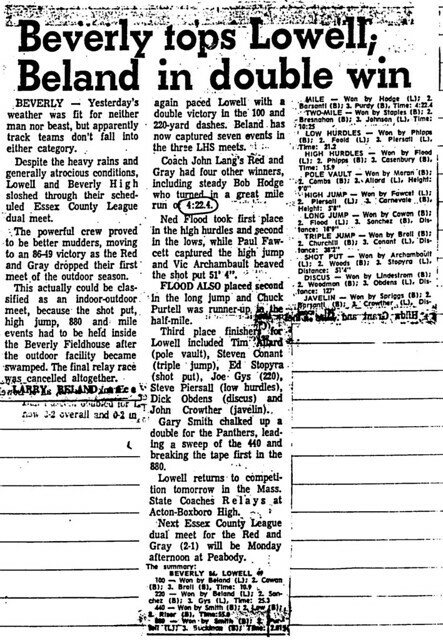 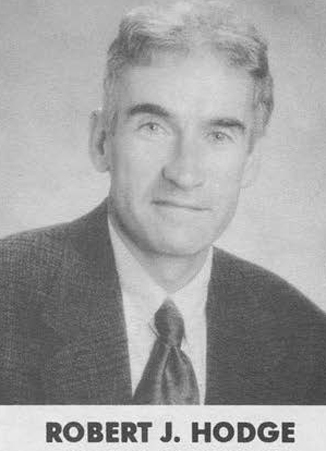 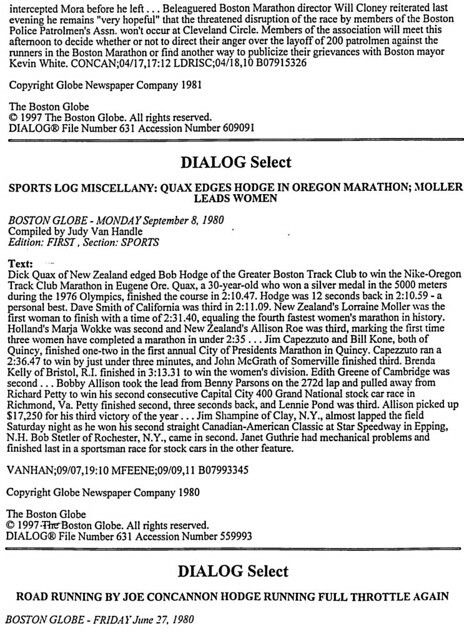 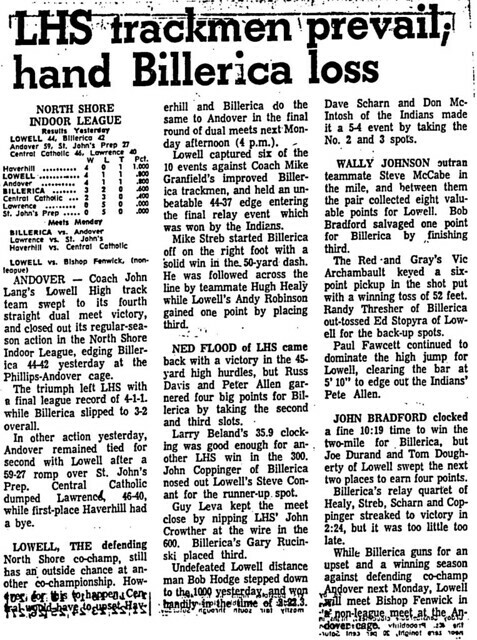 Assuredly the greatest distance runner in the long and storied history of the Track program at Lowell High, “Hodgie” was consistently among the elite distance performers in Massachusetts during his tenure at Kirk Street. 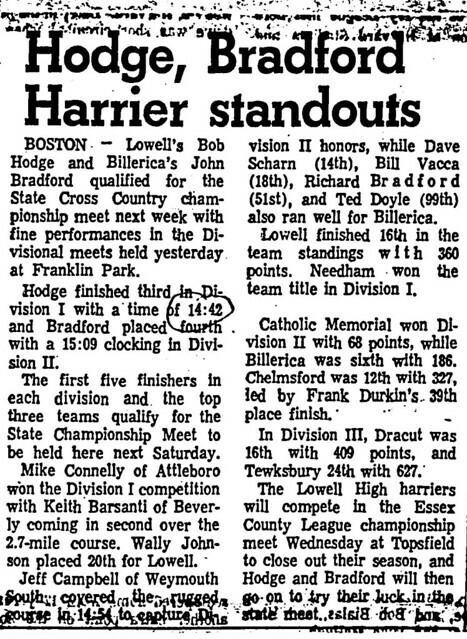 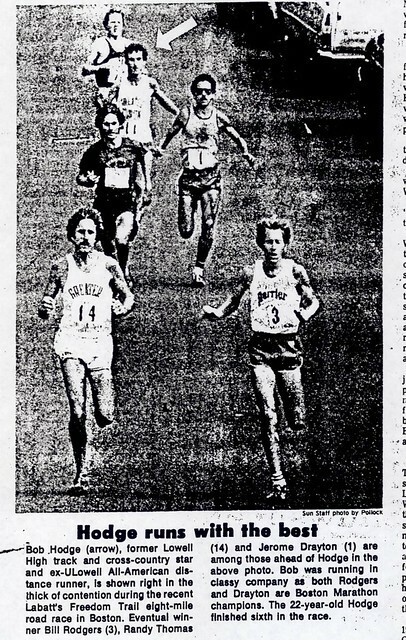 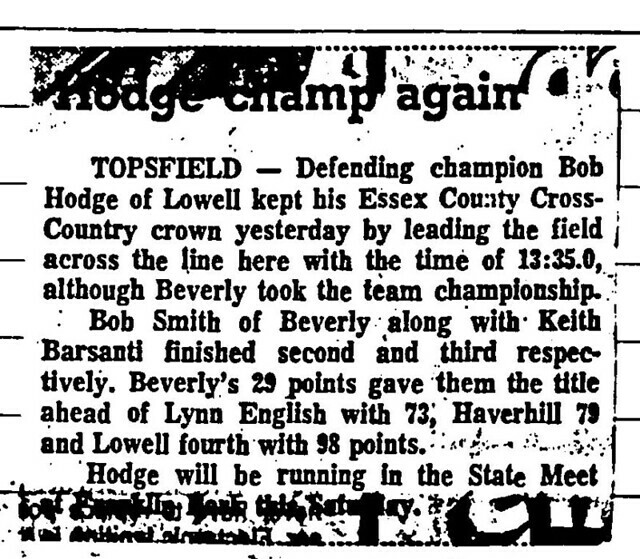 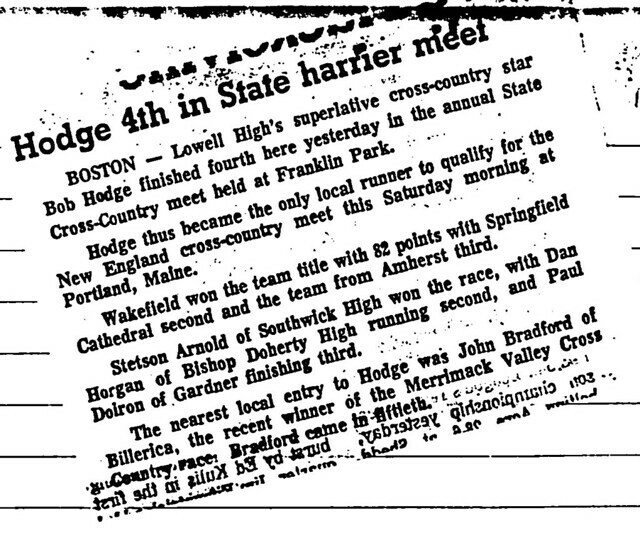 Bob placed 7th as a junior (1971) and 4th as a senior (1972) in the Massachusetts State Cross Country Championships, qualifying for the New England Championships in 1972. 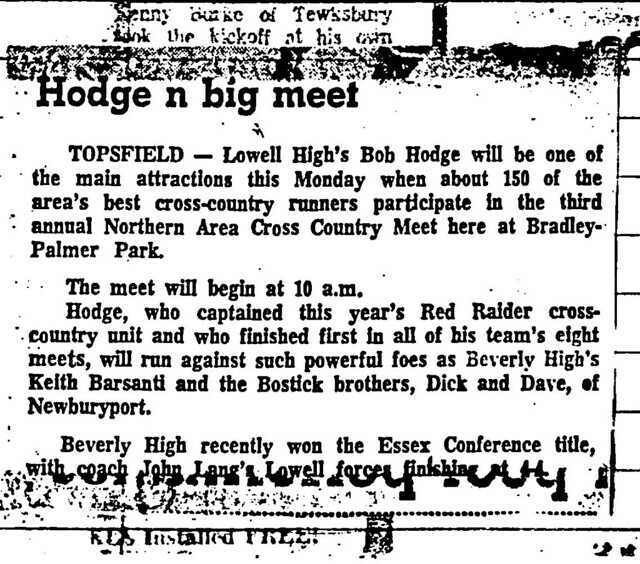 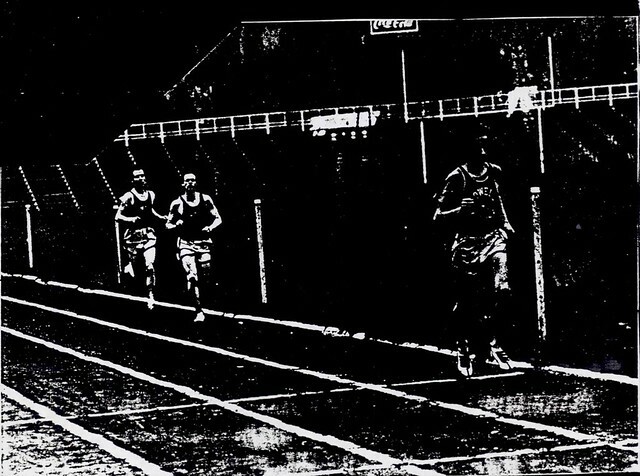 As a distance runner on the Red and Gray Track teams of the early 1970’s Bob continued his dominance. 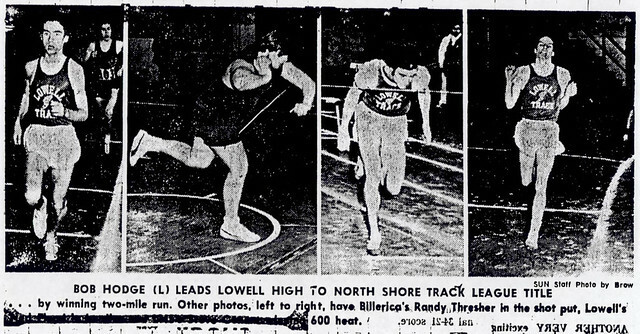 Virtually unbeatable on the track, he won consecutive Massachusetts State Class A Championships in the 2-mile (1972, 1973). 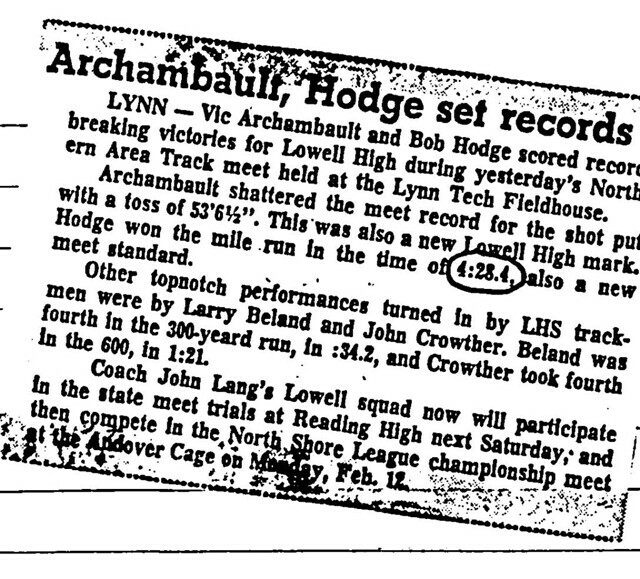 He also established LHS school records in both the mile and 2-mile, records that remain unchallenged 25 years later. 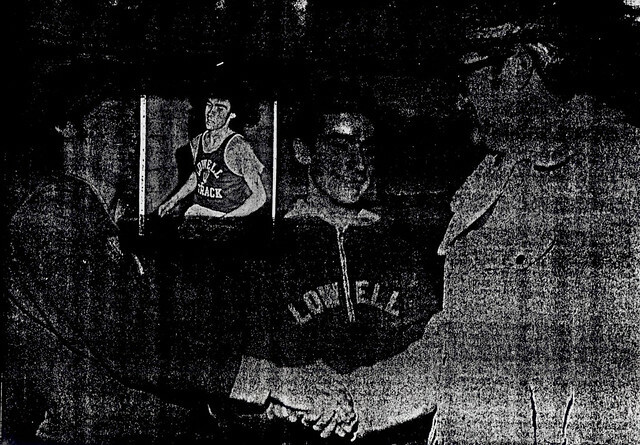 He was honored as Lowell High School’s Outstanding Athlete in 1972. Upon graduation from Lowell High, Bob enrolled at Johnson and Wales College, where he led the cross country team to 10th place in the National Junior College Championship meet after placing 1st individually in the Region XXI Championship Meet. 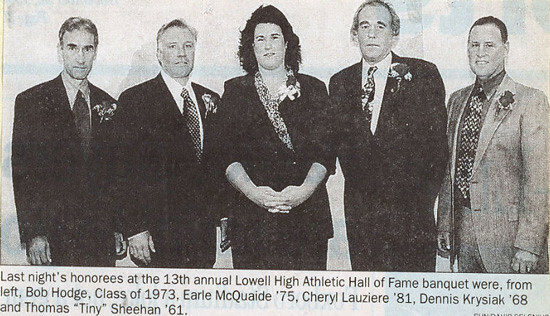 Bob entered the University of Lowell in 1975 and embarked on a sensational career under Coach George Davis, which culminated in his induction into the University of Massachusetts at Lowell Athletic Hall of Fame in 1992. 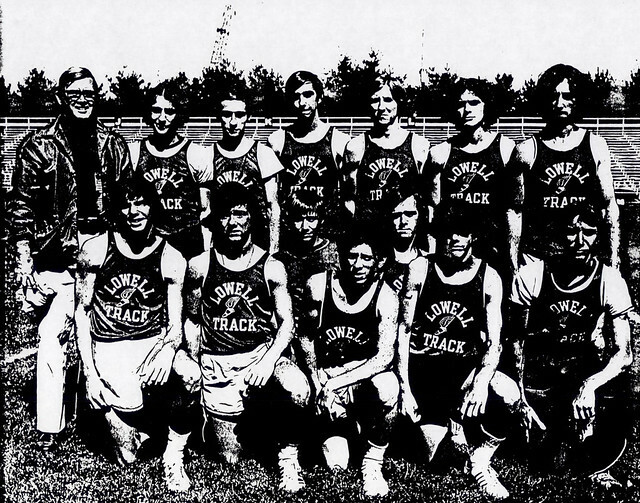 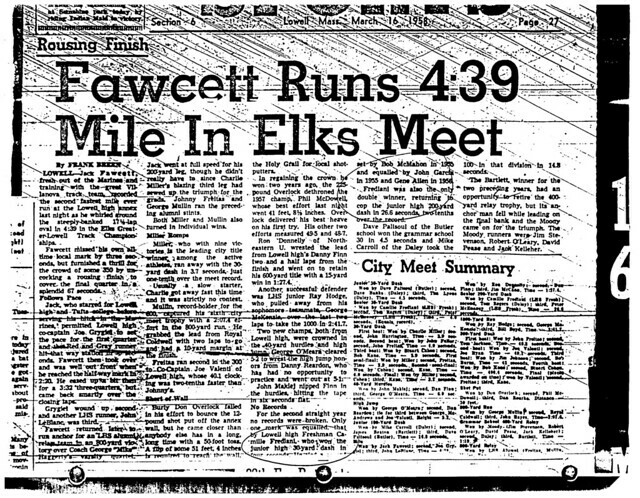 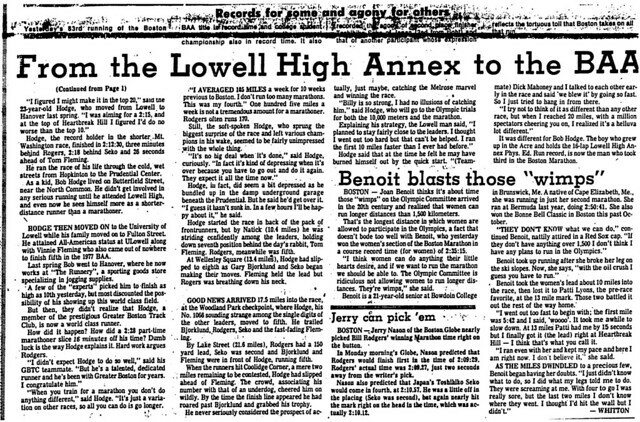 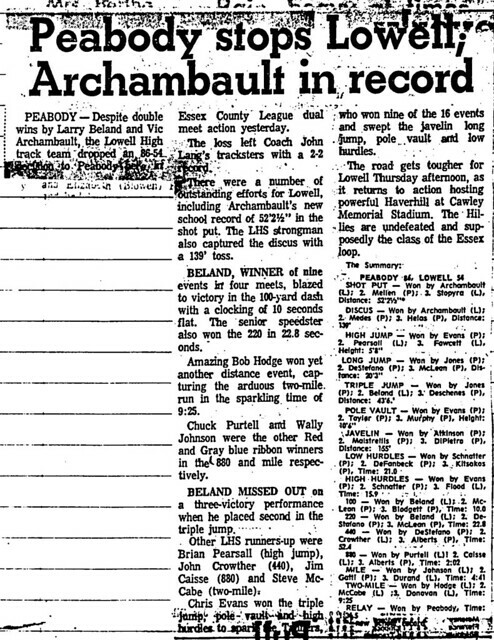 While at Lowell Bob achieved Division I All-American honors (1976) and established school records in the mile, 2-mile, and 5000 meters. 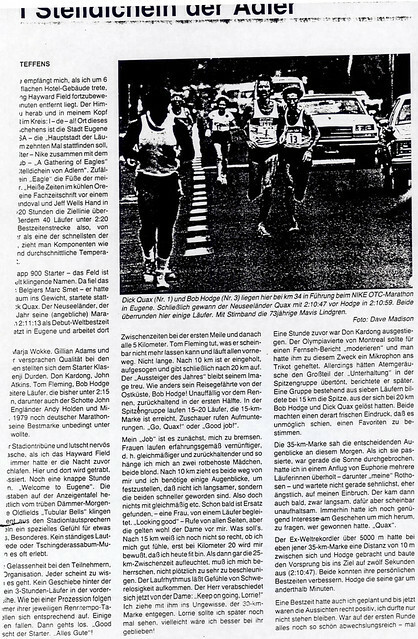 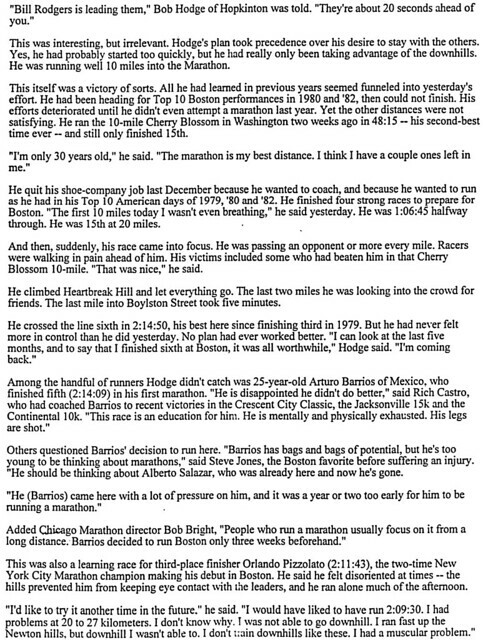 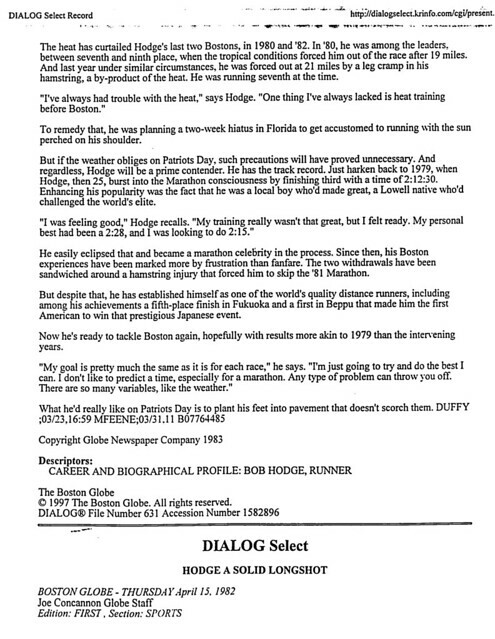 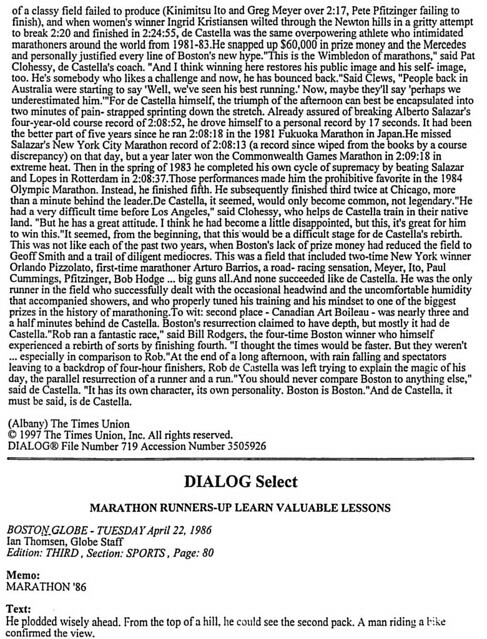 Bob burst on the international running scene by stunning the establishment with a close 3rd place finish (behind winner and running legend Bill Rogers) in the 1979 Boston Marathon while running for the Greater Boston Track Club. 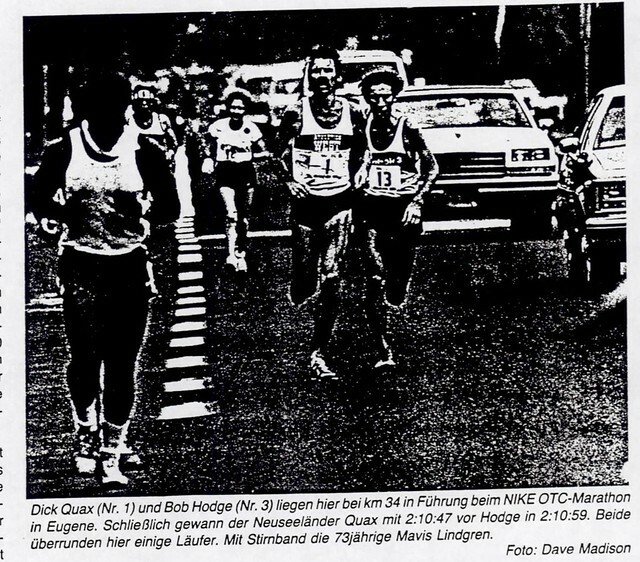 Later that year Bob won the elite Bay to Breakers Road Race in San Francisco. 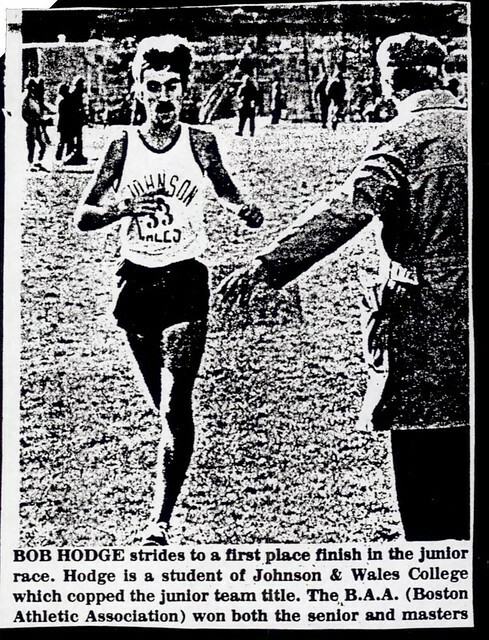 Throughout the ensuing decade, Bob maintained his position as one of the America’s leading distance runners. 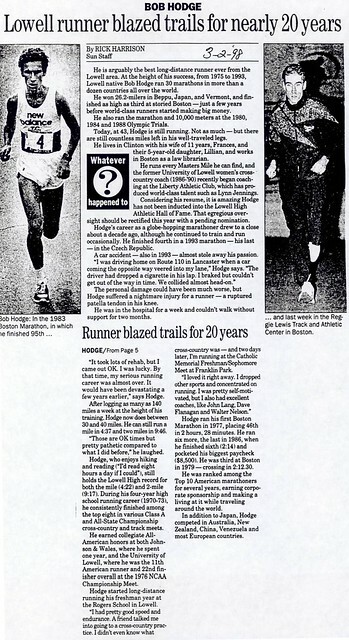 He won international marathons in venues as disparate as Beppu, Japan (1982), Huntsville, Alabama (1991), Burlington, Vermont (1992). 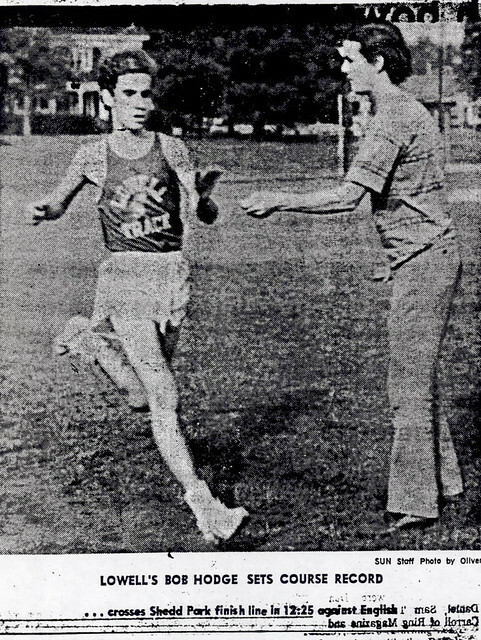 He qualified for the United States Olympic Marathon Trials in 1980, 1984, 1988 (7th place). 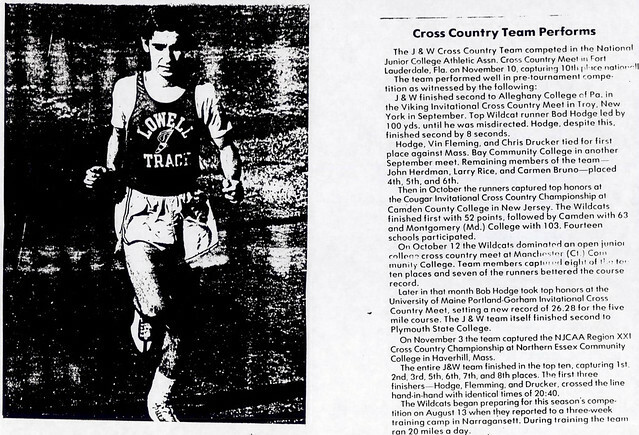 He was a member of the United States World Cross Country Team that competed in Warsaw, Poland, in 1987. 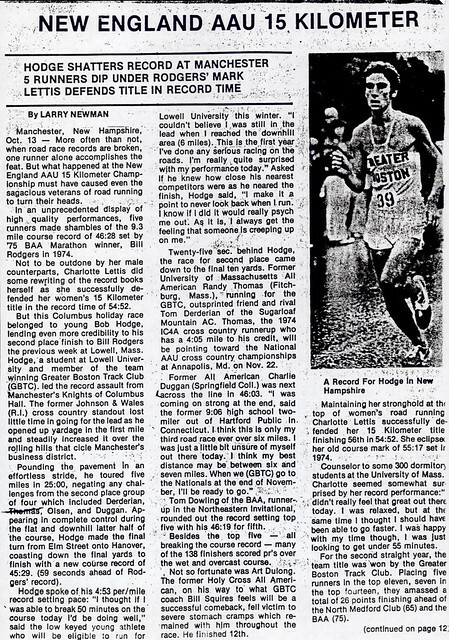 He was a member of the United States Track and Field team that competed in a dual meet vs. the USSR in 1982. 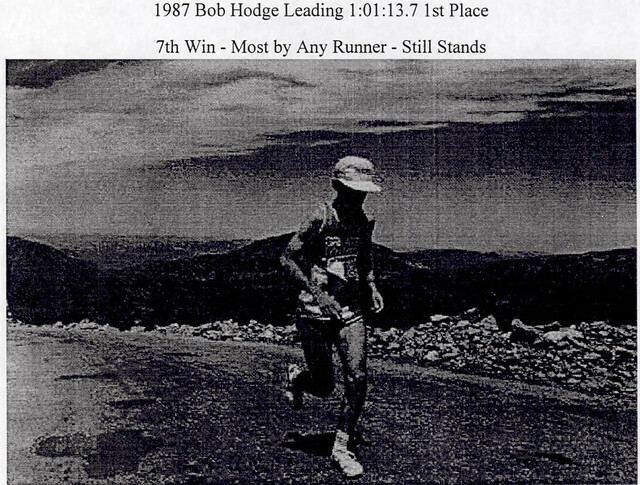 Bob was also a 7-time winner of the grueling Mt. 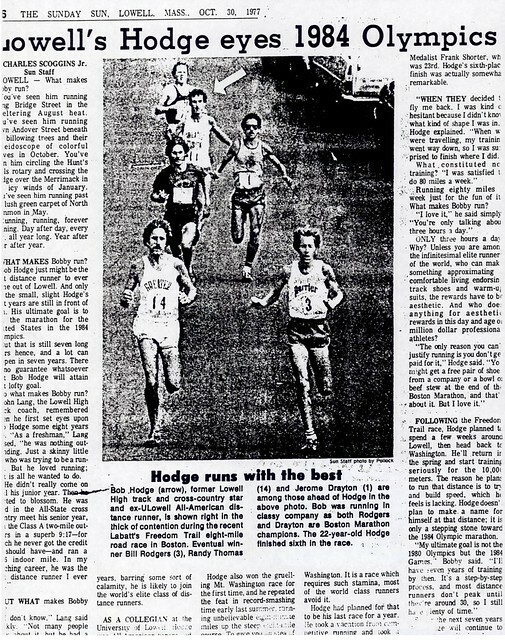 Washington Road Race. 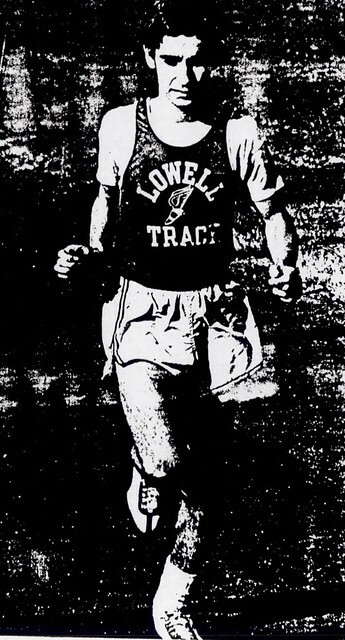 Bob returned successfully to the University of Lowell as Head Coach of Women’s Cross Country and Track from 1986–1989.